Jason Crane interviews bassist Avery Sharpe. 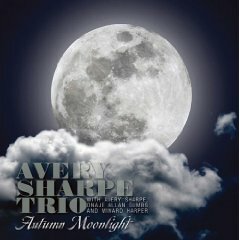 Sharpe’s album, Autumn Moonlight (JKNM, 2009) is an exploration of the piano trio by a man who played bass in one of the most famous such trios in recent memory, that of McCoy Tyner. In this interview, Sharpe talks about why he likes to perform in the trio format, how he chose between insurance adjusting and the bass, and the night he left Art Blakey for McCoy Tyner. Find out more at AverySharpe.com.